American consumers will spend nearly $21 billion for Valentine’s Day this year, according to the National Retail Federation (NRF). But although Valentine’s spending is up 5.6 percent from last year, shopper participation in the holiday has dropped in recent years. 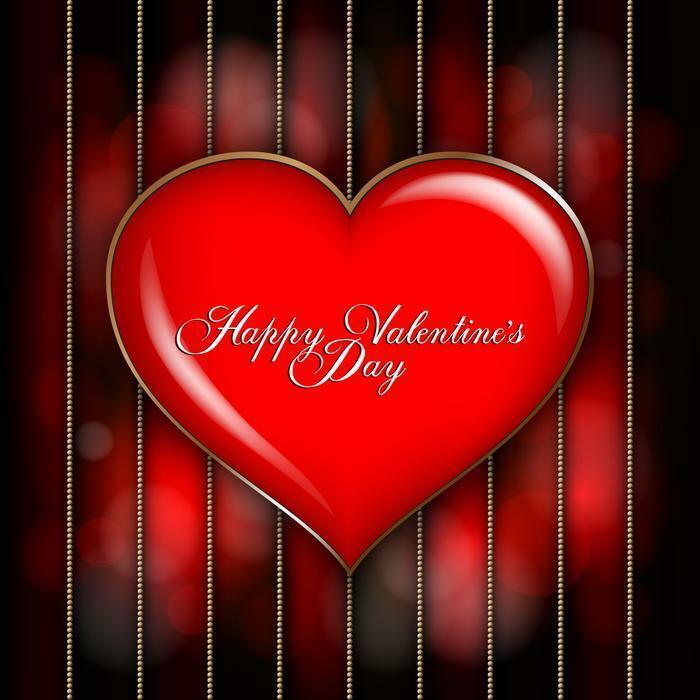 “Ten years ago, more than 60 percent of adults planned to celebrate Valentine’s Day; today, that’s dropped to just over half,” the NRF said. Just like Christmas, Valentine’s Day is fast becoming a holiday on which consumers spend too much money and sometimes go into debt. A new survey from LendingTree found that couples plan to spend an increasing amount of money, often a lot more than their significant others expect them to. Men tend to be the biggest spenders, typically shelling out almost two and a half times what their significant others expect on what was once a fairly minor holiday. Hollywood and pop culture are having a big impact again this year on how adults and their children decide to dress for Halloween. The National Retail Federation's (NRF) 2015 Halloween Consumer Top Costumes Survey conducted by Prosper Insights & Analytics, finds Minions and “Star Wars” characters have each made an appearance on all three top costume lists -- adults, children's, and pets. Retailers are a bit nervous in the weeks leading up to the start of the 2015 holiday shopping season. It remains to be seen how consumers will react. Will they spend the money they've saved this year on gasoline? Or, will they use that money to pay existing bills and add to savings? The evidence so far suggests shoppers will be careful with money and look for bargains. Heading into the holiday season, sales have been lackluster and even the National Retail Federation predicts only a modest increase in sales over last year. Eliot cites a report predicting one-third of shoppers will begin buying Christmas gifts before Halloween. For those who are trying to save on holiday purchases, Bryan Leach, CEO of Ibotta, a shopping app, says it will pay to shop early. He says it's also critical to make a budget. By setting a budget now and already having gifts in mind, you’ll be able to scope rebates, coupons, and deals over the next few months, instead of spending a fortune in last minute panic buying. He also says it will help save money if you plan holiday meals well in advance. Meanwhile, the bargains have already started. BestBlackFriday.com reports Sony has cut the price of its popular PlayStation 4 game system to $349.99, which is a discount of $50 from the usual price of $399.99. The discount will remain in place thoughout the holiday season. We're still 3 weeks from Halloween and the National Retail Federation (NRF) is out with its forecast from sales during the Christmas shopping season. The NRF says despite a turbulent start to 2014, it sees sales in November and December (excluding autos, gas and restaurant sales) jump 4.1% to $616.9 billion – up 1% from the 2013 increase. Holiday sales on average have grown 2.9% over the past 10 years, including 2014’s estimates, and are expected to represent approximately 19.2 percent of the retail industry’s annual sales of $3.2 trillion. This would mark the first time since 2011 that holiday sales would be up more than 4%. With the increase in sales, there's likely to be more hiring during the holiday shopping season. NRF expects retailers will hire between 725,000 and 800,000 seasonal workers -- potentially more than they actually hired during the 2013 holiday season (768,000). Seasonal employment in 2013 increased 14% over 2012. “These holiday positions offer hundreds of thousands of people the opportunity to turn their seasonal position into a long-term career opportunity in retail,” said Shay. Meanwhile, Shop.org says it expects sales will grow between 8 – 11% percent over last holiday season to as much as $105 billion during November and December. That projection is based on government data including, consumer credit, disposable personal income, and previous monthly retail sales releases. Holiday non-store sales grew 8.6% last year. Last year it was showrooming – the practice of checking out merchandise in a store, then ordering it online, usually from some place else. 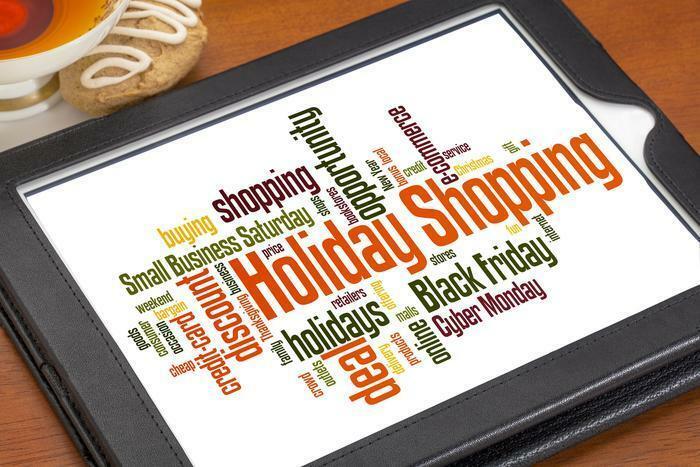 Retailers hate that and geared up this holiday season to try and counter it with aggressive online deals of their own. But consumers are on to a new trend – webrooming – according to a new survey from Harris Interactive. Webrooming is just the reverse. A consumer will use a desktop or mobile device at home to check out deals, then head for the store to make the purchase. Retailers like that a little better, though truth be told most big box chains are now so heavily invested in an Internet sales model it probably doesn't matter. The survey shows that nearly half of U.S. consumers – 46% – have showroomed, up only slightly from last holiday season. But this year 69% of consumers say they have webroomed. 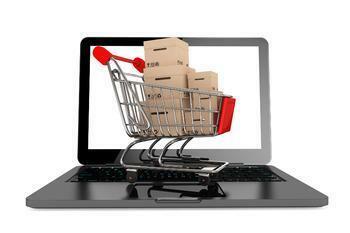 Showrooming and webrooming are far from mutually exclusive. In fact, the survey shows that those who have done one are more likely to have done the other as well. Six in ten webroomers have showroomed and nearly nine in ten showroomers have webroomed. 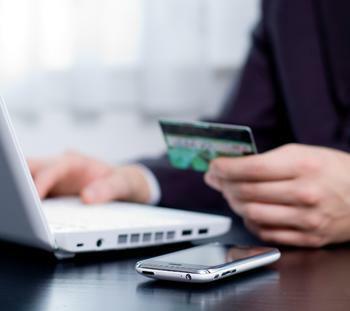 All of this points to the importance of the Internet as a shopping tool. Consumers no longer go blindly into a transaction, with no idea what price another store might have on their item of interest. While retailers may not like showrooming, webrooming places just as much – if not more – pressure on them. In the comfort of their home a consumer has plenty of time to visit multiple sites and conduct multiple searchers, reading multiple reviews before making a decision. In a crowded, noisy store with their smartphone, the same consumer might visit fewer sites before pushing the “buy” button. That means retailers' websites not only have to have the best prices, their websites also have to be the most functional and easy to use. Dr. Gary Edwards, Chief Customer Officer at Empathica, which consults the retail industry, agrees. Other research suggests webrooming is more prevalent than showrooming among the Millennial generation. According to research conducted by the Urban Land Institute earlier this year, 50% of consumers age 18-34 prefer to research their purchase online before heading to the store, while only 11% said they preferred to showroom. While new trends always present new opportunities for upstarts, the Harris Interactive poll suggests the established players are benefiting most. The survey shows showroomers are spending the most time at Walmart, Best Buy and Target, in that order – then doing the majority of their buying at Amazon.com. However, Walmart, Best Buy and Target are benefiting the most from the webrooming trend, because after conducting their research at home, that's where most consumers are going to make their purchases, the survey shows. It also provides more choices for consumers. 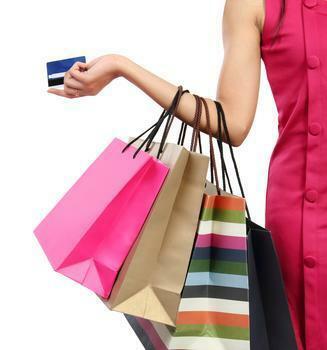 Want to skip the crowded stores this holiday shopping season? Online is a clear answer. Feel better about being able to take your purchase home with you immediately? Brick and mortar stores have you covered. Spending on Valentine’s Day gifts is expected to rise this year. According to the National Retail Federation’s ( NRF)Valentine’s Day Consumer Spending Survey conducted by Prosper Insights and Analytics, the average person celebrating Valentine’s Day will spend $142.31 on candy, flowers, apparel and more, compared with $133.91 last year. Total spending is expected to reach $18.9 billion -- a survey high. While most (53.2%) plan to buy candy for the sweet holiday, spending a total of $1.7 billion, one in five (21.1%) plans to buy jewelry for a total of $4.8 billion -- the highest amount seen since NRF began tracking spending on Valentine’s gifts in 2010. Additionally 37.8% will buy flowers, spending a total of $2.1 billion, and more than one-third (35.1%) will spend on plans for a special night out, including movies and restaurants, totaling $3.6 billion. Celebrants will also spend nearly $2 billion on clothing and $1.5 billion on the gift that keeps on giving: gift cards. The survey found nine in 10 (91%) plan to treat their significant others/spouses to something special for the consumer holiday, with plans to spend an average of $87.94 on them -- versus $78.09 last year. Additionally, 58.7% will spend an average of $26.26 on other family members and $6.30 on children’s classmates/teachers. A record one in five (21.2%) say they will include their pets in their Valentine’s Day plans, looking to spend a mere $5.28 on average -- which equates to a whopping $703 million on pint-sized gifts of all varieties. Discount (35.2%) and department stores (36.5%) will be among the most visited locations for those looking for the perfect Valentine’s Day gift, as will specialty stores (19.4%) and florists (18.7%). One-quarter (25.1%) say they will shop online and 13.3 percent will shop at a local or small business to find something unique for their loved one. It seems women are in for the biggest treat this Valentine’s Day. Men will spend nearly double what women plan to spend ($190.53 vs. $96.58 on average, respectively.) Additionally, adults 25-to-34 will outspend other age groups at an average of $213.04; 35-to-44 year olds will spend an average of $176.21 and 18-to-24 year olds will spend an average of $168.95. Halloween sales may be cooler, along with the October weather, as fewer consumers plan to celebrate the holiday. According to the National Retail Federation's (NRF) Halloween Spending Survey conducted by Prosper Insights & Analytics, nearly 158 million consumers will participate in Halloween activities, compared with the survey high of 170 million last year. The survey also says that those who do celebrate will trim their budgets, with the average celebrant expected to spend $75.03 on decor, costumes, candy and fun, down nearly $5 from last year. Overall, average spending on Halloween has increased 54.7 percent since 2005, with total spending estimated to reach $6.9 billion this year. One of the most cherished parts of the holiday -- dressing in costume -- will once again be popular. According to the survey, 43.6% of people plan to dress up and will spend a total of $2.6 billion on traditional and awe-inspiring costumes. Specifically, consumers will shell out $1.04 billion on children’s costumes, and $1.22 billion on adult costumes. When it comes to pets, 13.8% of those celebrating will take the extra time to find the perfect costume for their four-legged friends to the tune of approximately $330 million. Additionally, celebrants will spend $2.08 billion on candy and $360 million on greeting cards. Second only to Christmas in terms of spending on decorations, consumers will shell out $1.96 billion on life-size skeletons, fake cob webs, mantle pieces and other festive decorations. Nearly one in 10 (9.3%) will scour the visually-appealing Pinterest for costume ideas, versus 7.1% last year. Of those buying or making costumes, the average person will spend $27.85 -- a few cents less than last year. 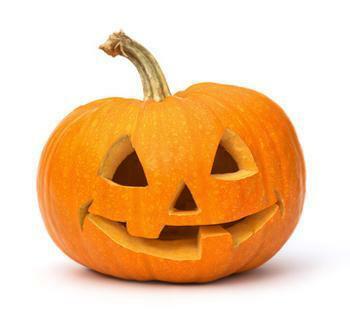 There are a variety of ways consumers will celebrate this year, with handing out candy being the most popular (72.0%). Others will carve a pumpkin (44.2%), visit a haunted house (20.3%), take their child trick-or-treating (31.7%) and decorate their home and/or yard (47.5%). Three in 10 (30.9%) will attend or host a party. Despite the anticipation of the popular fall event, one-fourth of U.S. consumers (25.2%) say the state of the economy will affect their Halloween spending plans -- nearly nine in 10 (86.1%) will spend less overall, up a touch from last year. Additionally, 32.7% will buy less candy and 18.1% will make a costume instead of buying one. Nearly stagnant disposable incomes, the government shutdown and a general waning of consumer coonfidence are expected to take a toll on sales in the coming Christmas shopping season. IBISWorld is forecasting weak Thanksgiving and holiday gift spending, with revenue generated by the Thanksgiving holiday increasing only slightly from 2012. And, say these experts, while Cyber Monday sales are anticipated to increase strongly by double-digits this year, this growth rate is deceptive. Forecasters say it's mainly due to consumers’ continued shift away from physical store shopping and toward online deals. The bottom line: Overall gift spending from Black Friday through Cyber Monday is expected to grow by a meager 2.2% year-over-year. Compared with last year, Thanksgiving spending is anticipated to grow 3.7% -- to $8.2 billion. More than two-thirds of this figure is expected to come from spending on food and drink for family gatherings and festivities; this category is expected to increase 5.1% from 2012. Celebrating the year-end holidays with loved ones remains an important tradition for many Americans, so spending on consumables is not expected to suffer much, despite poor confidence. Families and relatives are expected to gather around the turkey this year, with 87.8% of US households expected to celebrate T-day. 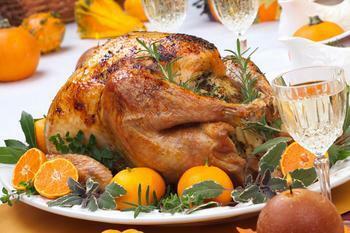 The average household will spend $52.75 on Thanksgiving dinner and $31.23 on turkey alone. Other, more discretionary expenses such as greeting cards, gifts and decorations are not anticipated to grow much this year -- increasing only 0.7%. Consumers are more likely to dedicate their cash to food and drinks. With tight budgets expected this season, Black Friday and Cyber Monday spending increases are projected to be smaller than those of 2012. This year, Black Friday is forecast to generate $13.6 billion in revenue -- an increase of 3.9% over last year’s total. The smaller increase is due to the continued sluggish growth in disposable incomes and relentless high unemployment. Still, growth in Black Friday revenue will be driven largely by door-buster deals and online sales that start at midnight. With bellies full of turkey, consumers are likely to jump on these online promotions; others will opt to walk the food off at retail locations, vying to score a great deal. Spending during the Black Friday weekend (which includes Friday, Saturday and Sunday) is anticipated to grow just 1.7% to $38.7 billion. The bulk of weekend purchases (35.2%) is expected to be made on Black Friday itself, owing to enticing sales and the spirit of the day itself. Cyber Monday, while still only about 15.0% the size of Black Friday in terms of revenue, is forecast to record double-digit growth of 13.1%. The $1.8 billion shopping day has increasingly made its way to the top of shoppers’ preferences for its plethora of online deals and free shipping promotions. This year will be no exception, as Cyber Monday outpaces growth during the remainder of the shopping weekend. Despite all the TV commercials pushing holiday merchandise, it appears that not everybody is hitting the malls early. The new Holiday Consumer Spending Survey conducted by Prosper Insights & Analytics for the National Retail Federation (NRF) finds 45.6% of those asked say they haven’t started shopping yet -- relatively flat with last years’ 46.2%. Still, it's the lowest in the survey’s 7-year history. The survey found that while slightly fewer people haven’t started shopping yet, 20.6% have finished 10 % or less of their shopping, while 12.4% have completed about one-quarter of their lists; 2.2% are saying they can sit back and relax as they have already finished their shopping for friends and family. 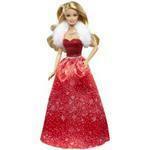 Unsurprisingly, apparel, toys and video games will be popular gift items this year. The survey found 6 in 10 (60.9%) will buy clothing and accessories, 46.3% will buy books, CDs, DVDs and video games, and two in five (42%) will buy toys. Likely having loaded up on wearable technology items and new smartphones throughout the year, slightly fewer people will buy electronic items as gifts (30.7% vs. 33%). Some people are in for a real treat: 24% of shoppers will buy jewelry for a friend or family member -- the highest percent since 2006. Gift cards continue as a favorite for both shoppers and recipients as 60% will buy gift cards, similar to the 59.2% who planned to do so last year. In an October NRF survey, 60% of shoppers also said they’d like to receive gift cards, marking gift cards the most requested gift item for 8 years in a row. Shoppers look for inspiration for gifts from every corner, and with the innovative creation of retailers’ wish lists, many consumers this season will take to the web to point loved ones to specific, perfect gift ideas. The survey found 32.1% say they will look for inspiration on wish lists, compared with 28.8% last year. Others will conduct online searches (47.7%), discuss options with family and friends (41.7%), check out advertising circulars (34.3%) and email ads (20.1%), and even search Facebook (10.6%). "Retailers make holiday shoppers’ job easy with so many options to find the perfect gift, and with little room to waste on gifts that don't make sense, consumers today want to be sure what they buy is used and enjoyed by their loved ones," said Prosper's Principal Analyst Pam Goodfellow. "On the hunt for bargains, quality merchandise that is unique and even exclusive, gift givers this holiday season will seek out both practical and indulgent gift items, though being sure not to break the bank." When it comes to how shoppers will pay for their gifts, nearly four in 10 (38%) will use their credit card, the most in the survey’s history and up nearly 10% from last year; one in five (21.6%) will use cash and 38.4% will use their debit or check card. Just 2.1% will use a check -- the lowest in the survey’s history. When broken down by age group, young adults (18-24) are the least likely to use credit to pay for gifts at just 17.7%, and 65+ are the most likely to use credit cards at 56%. Nearly half of 18-24 year olds (48.9%) plan to use their debit or check card to buy gift items. Barbie has learned -- as we all do -- that all good things come to an end. 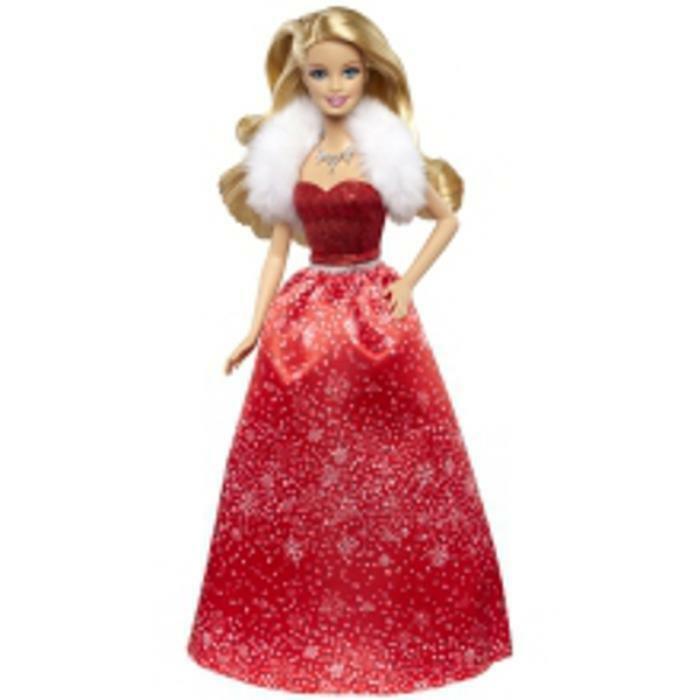 According to the National Retail Federation’s (NRF) latest Holiday Top Toys Survey, one in five parents (20%) plan to buy Disney’s Frozen merchandise for the little girls in their life this holiday season , beating out the top reigning Barbie (16.8%) for the first time in the survey’s 11-year history. LEGO toys are number one again for boys this year (14.2%). According to NRF’s 2014 holiday consumer survey, 42% of shoppers plan to buy toys as gifts this holiday season. For girls, dolls hold the top spots at #2 (Barbie), #3 (generic), #4 (Monster High Dolls) and #5 (American Girl), while boys have made it clear they still want cars and trucks #2. “Barbie has been the top girls’ toy for over a decade, but it is no surprise that Disney’s Frozen has taken the top seat as children have had it on the mind as far back as Halloween,” said Prosper’s Consumer Insights Director Pam Goodfellow. Consumers plan to bring it on for mom this year. The annual Mother's Day spending survey conducted for the National Retail Federation (NRF) by Prosper Insights & Analytics suggests that special lady can look forward to everything from jewelry to special outings at favorite restaurants. Shoppers told the survey that they'll likely spend an average of $186.39 for the holiday, $14.17 more than they laid out last year. Holiday gifts, travel, and celebrations can lead to major debt long after the holidays have passed, but taking steps to get your finances in order before the holidays can help ensure you -- and your credit card -- don’t start the New Year off on the wrong foot. The wearin' o' the green may not boost the spendin' o' the green. The National Retail Federation's (NRF) annual St. Patrick’s Day Spending Survey conducted by Prosper Insight and Analytics, finds that more than 125 million consumers who plan to celebrate St. Patrick’s Day will spend an average of $35.37 per person – compared with last year’s $36.52. Total spending for the Irish holiday is expected to reach $4.4 billion based on the U.S. population of those 18 and older. Amazon’s not shy when it comes to marketing volleys, and it may have just thrown out its biggest yet. This holiday season, the online shopping giant is offering free shipping to everyone – not just Prime customers – and without a required minimum purchase. Starting Monday, Amazon’s free shipping deal promises delivery “in time for the Christmas holiday,” according to a company press release.